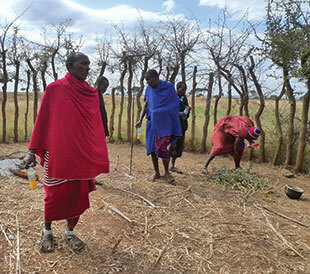 Pietro Ceccato vividly remembers his trip to a northeastern Tanzanian Maasai village last July. For more than two hours, the bus he caught in the city of Arusha traversed a flat landscape sprinkled with acacia trees; the summer air was dry and heavy with dust. The village itself, populated by a cattle-herding tribal group dressed in bright red and blue robes, was no more than a small cluster of huts fenced in to keep lions and hyenas out. But there were also hints of modern life in the community. The village chief was frequently on his cell phone, for example, touching base with members of his village to keep track of his cattle, recalls Ceccato, an environmental scientist at Columbia University in New York City. Ceccato hadn’t traveled to the village simply to observe its culture. He was there to count tiny black tsetse flies, which pose a threat more insidious than lions. During the rainy season, grasses and shrubs carpet the land, creating ideal breeding grounds for the flies, which serve as a vector for the parasitic protozoans that cause sleeping sickness. Infection, which begins with fever and fatigue, can cause neurological problems and death, and is a serious threat to both the villagers and their livestock. Because the fly’s life cycle is closely linked to rain and warmth, Ceccato and his collaborators are tracking environmental conditions using remote-sensing satellite data as a way to predict spikes in tsetse fly numbers and, therefore, spikes in sleeping sickness risk.1 Then, using bright-blue mesh traps baited with the scent of nail polish, the researchers obtain a tsetse fly census to improve how these climate-based models compare to conditions on the ground. “The tsetse fly is very particular—it likes nice warm weather, but not too hot; not too wet, but not too dry; and spaces in the vegetation,” says Ceccato. “The years when there were less tsetse flies was when there was a drought, and using our climate models we are able to forecast [such] events.” He and his colleagues are now in the process of making their models, or risk maps, available to anyone with a cell-phone connection, such as the Maasai village chief. A quick swipe or few clicks could inform him of specific days when, or areas where, the risk of an infectious insect bite might be particularly high, allowing him to avoid fly-dense patches of vegetation when taking cattle to graze. Disease risk maps aren’t unique to parasitic infections in eastern Tanzania. 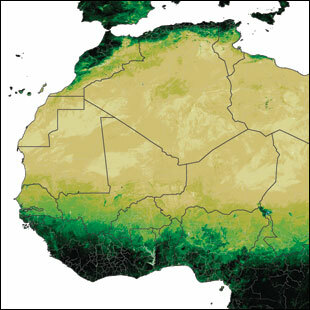 With modern geographic information system (GIS) technology providing the capacity to monitor climate conditions and numerous other environmental variables across the globe, researchers are using this information to model outbreaks of diverse diseases, including cholera, malaria, West Nile virus, Lyme disease, and several neglected tropical diseases.2 Meanwhile, local data collected via cell phones are being used to track the presence of disease carriers—both human and animal—to help researchers estimate and prepare for shifting risk zones.3 In a few years, these improved simulations could make forecasting an epidemic as precise as predicting the weather. “It’ll be very commonplace that many diseases—particularly those linked to ecological factors—will be monitored and predictable to some extent in the near future,” says public-health biologist Kenneth Linthicum, director of the US Department of Agriculture’s Agricultural Research Service in Gainesville, Florida. 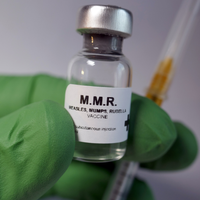 And knowing when and where outbreaks are likely to occur is key to reducing casualties, says microbiologist Rita Colwell of the University of Maryland. Across Asia and Africa, disease maps have already helped reduce the impact of several diseases, including soil-transmitted helminthic infections, river blindness, trypanosomiasis, dengue, and malaria—primarily by helping authorities identify at-risk regions and direct sanitation and therapy efforts accordingly. “If you know the conditions are favorable for an epidemic to occur, you can nip it in the bud,” says Colwell. 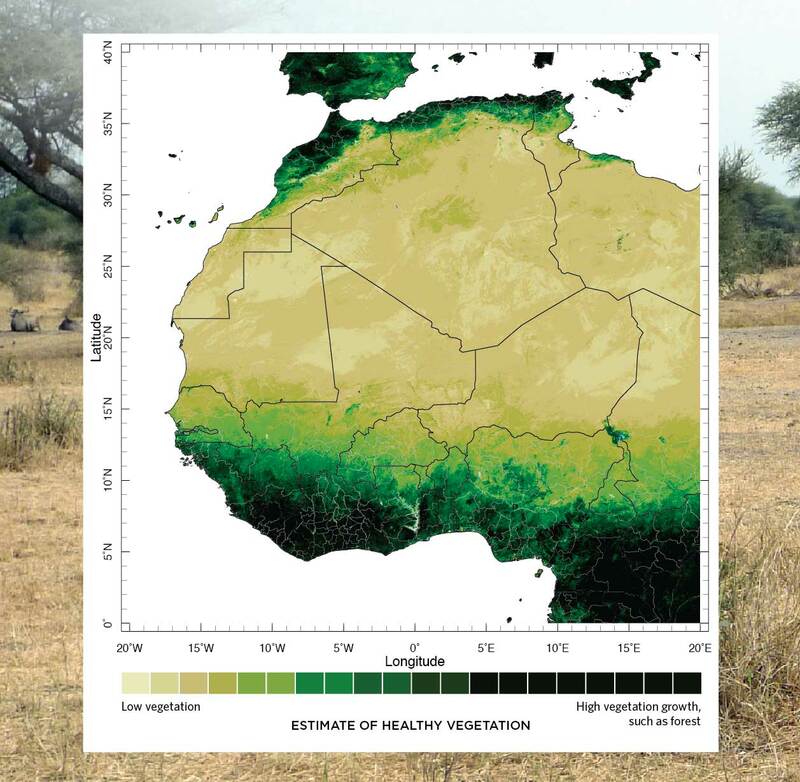 WATCHING THE GRASS GROW: Data from NASA’s MODIS sensor are used to create estimates of weather-related vegetation changes, which can help forecast malaria outbreaks in some parts of Africa. 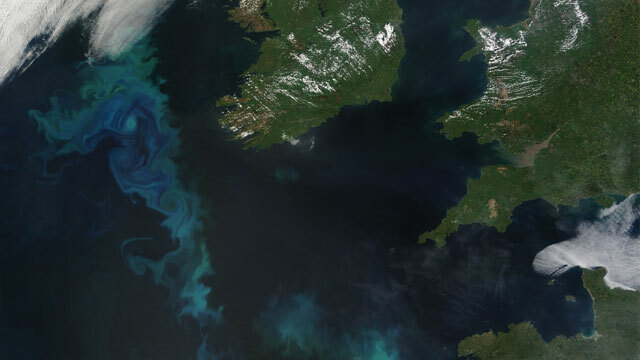 Colwell began to wonder whether satellites, which had begun to capture images of massive algal blooms in seas across the planet, could also trace oceanic bacteria, including Vibrio species. Populations of V. cholerae–harboring zooplankton tinted the color of the ocean in the images, and researchers could see that their numbers spiked shortly after algal blooms. Colwell and her colleagues found that peaks and troughs in bacterial abundance correlated with the rise and fall of planktonic populations visible from space. Improved simulations could soon make forecasting an epidemic as precise as predicting the weather. 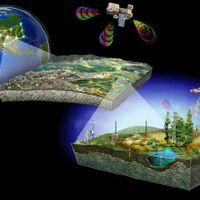 Satellites can also monitor smaller bodies of water: dams, rivers, ponds, and swaths of irrigated agricultural land, any of which can turn into reservoirs for lurking pathogens in the right climatic conditions. In parts of India, Bangladesh, and other developing countries, such water bodies host Vibrio species year-round, causing low levels of endemic infection common in people who live in the area. But seasonal changes that grow pathogen populations can trigger outbreaks. Increasingly detailed maps from space can also yield insights about conditions of terrestrial habitats. (See “Casting a Wide Eye,” The Scientist, February 2012.) Ceccato and his collaborators use satellite data to map dense, humid patches of vegetation in Tanzania where tsetse flies might breed. And in the northeastern U.S. and Canada, similar imagery of forested patches, heavy with plants and moisture, helps researchers predict the risk of tick-borne Lyme disease. Watching the edges of fragmented forests on satellite images also tells researchers where people are most likely to encounter ticks or other forest-dwelling vectors of human disease.5 But probably the most commonly used type of satellite data incorporated into disease risk maps is weather. As temperatures climb, ticks, mosquitoes, and other disease vectors are invading new territories, bringing their pathogens along for the ride. Climate data are proving particularly useful for tracking areas where diseases persist at low frequencies but are at risk of spreading to new locales. For example, in some tropical regions that harbor malaria-carrying Anopheles mosquitoes year round, such as the Ethiopian lowlands, the mosquitoes breed more quickly—and spread more infections—at the beginning or end of the monsoon season. People who live in such endemic areas may grow immune and suffer less-severe infections, but when the rate of infections rises, pathogens can spill over into new areas, which may trigger an epidemic. In the past, epidemiologists identified such endemic zones based on the occurrence of actual disease cases; mapping these cases to specific regions helped to focus preventive efforts as well as to allocate medicine and other resources. Now, newer technologies enable researchers to proactively use climate and geographic data in these endemic areas to foresee potential outbreaks. No model is perfect, however, Ceccato notes; even the best simulations struggle to cope with the complexity of outbreak prediction. In addition to environmental conditions, the accuracy of a model depends on how and when the disease vector breeds, what controls have been put in place, and whether the disease can be transmitted by people traveling to and from endemic regions. “To model every behavior in every region is almost impossible,” he says. 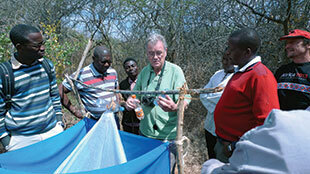 TSETSE TRACKERS: Entomologist John Hargrove of the University of Stellenbosch in South Africa shows locals how to set up traps to measure tsetse fly populations (top). Locals clean up after a traditional meal in the Maasai village where Hargrove and other researchers are tracking disease-carrying tsetse flies (bottom).PIETRO CECCATOTo build optimally accurate and predictive disease risk maps, researchers must supplement satellite data with information from old-fashioned surveys and case reports gathered on the ground. This local surveillance helps researchers nail down correlations between disease risk and specific environmental circumstances that are critical to accurately predicting an epidemic. “One of the most difficult things is to get good disease data,” says Linthicum of the Agricultural Research Service. One common proxy for disease risk is vector abundance. 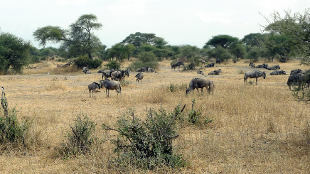 The bright-blue traps that Ceccato’s collaborators set around the Maasai village in Tanzania, for example, allow the team to assess how tsetse fly numbers shift with the changing seasons. To track ticks that carry Lyme disease in the northeastern U.S. and Canada, many researchers trail a large white sheet through the forest and see what sticks. Other groups walk miles along irrigation canals in Kenya to pinpoint how snails that spread disease-causing parasites are distributed near water sources in local villages. “When we have an abnormal increase in air temperatures, we start to monitor the region more closely. If there’s rainfall shortly after, we’re sure there is a chance of cholera outbreaks,” says West Virginia University hydrologist Antar Jutla, who collaborates with Colwell. “Then, we use finer-scale data to see which areas may or may not be at risk.” The team is now adapting its methods to model the spread of West Nile virus, which last year caused more than 2,000 infections in the U.S. alone. Yet another source of data for improving disease-risk models is the global cellular-communication network, through which local residents can inform researchers of disease cases in real time. Rebecca Flueckiger, an environmental scientist at the Task Force for Global Health in Atlanta uses cell-phone data to build maps of diverse endemic diseases in severely affected regions. Field data gathered by trained local residents or volunteers help Flueckiger and her colleagues pinpoint each occurrence of a disease to a specific locality. Other groups in several parts of Africa rely on residents to monitor malaria cases in their neighborhoods. Mobile-phone networks also clue researchers into the movements of bigger disease carriers: people who travel to or from areas where infections are rampant. 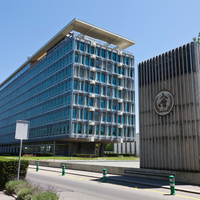 “We went through the whole chain from case reports from the government, combined that with remote-sensing data to create high-resolution risk maps, and then added the mobile-phone data to see what areas are exporting and importing infectious persons,” says Flowminder cofounder and executive director Linus Bengtsson. “In the end what we get is a map that tells us where it’s most efficient to put in resources. That’s what the government of Namibia is now using to steer their allocation of preventive resources.” The group is also working on a similar project directed at an ongoing cholera epidemic in Haiti. As disease risk maps continue to prove their worth in pinpointing potential epidemics, the field is attracting funding to build even better models. 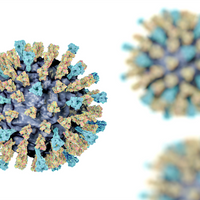 Just last year, for example, DARPA announced a challenge, with total awards of more than $150,000, for maps that could help forecast the spread of Chikungunya in the Americas and the Caribbean. Researchers in some parts of the world are now implementing the data not just to predict outbreaks, but to wipe out disease altogether. In Namibia, for example, officials aim to use the improved risk models offered by Flowminder to eradicate malaria in that country. Similar efforts to extinguish malaria using predictive risk maps are underway in other African countries as well as in parts of Asia. In the end, such maps may be key to staying one step ahead of the world’s worst pathogens. Jyoti Madhusoodanan is a freelance science writer living in San Jose, California. P. Ceccato et al., “Climate and environmental monitoring for decision making,” Earth Perspectives, 1:16, 2014. S.Y. Liang et al., “Climate change and the monitoring of vector-borne disease,” JAMA, 287:2286, 2002. C.W. Schmidt, “Trending now: Using social media to predict and track disease outbreaks,” Environ Health Persp, 120:a30-33, 2012. C. Baker-Austin et al., “Emerging Vibrio risk at high latitudes in response to ocean warming,” Nature Climate Change, 3:73-77, 2013. S. Li et al., “Consequences of landscape fragmentation on Lyme disease risk: A cellular automata approach,” PLOS ONE, doi:10.1371/journal.pone.0039612, 2012. A.S. Siraj et al., “Altitudinal changes in malaria incidence in highlands of Ethiopia and Colombia,” Science, 343:1154-58, 2014. 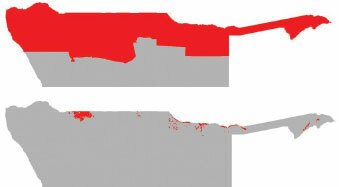 A. Jutla et al., “Environmental factors influencing epidemic cholera,” Am J Trop Med Hyg, 89:597-607, 2013. A.J. Tatem et al., “Integrating rapid risk mapping and mobile phone call record data for strategic malaria elimination planning,” Malaria Journal, 13:52, 2014.